Das Unglueck von Luisenthal - The Home in in English! More than 40 years ago! 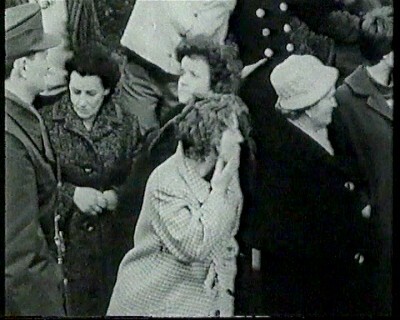 The 7th February, 1962 which came as a „black day for the mining and Saarland “ into the history began dreary and cloudily, with drizzle. 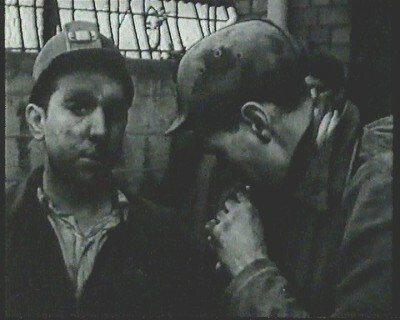 The miner Willi Pauly, at that time 31, was a member of the pit weir and for just three weeks exempt works committee member. He heard the alarm in the works committee office and rushed out immediately to get his rescue device. With a rescue troop he drove in the Richardschacht 2, on Luisenthaler areas, in the mine. Climbed with his 30-kilo-device 120 metres up and down about leaders by driving shafts in the direction of Alsbachschacht. Then the whole distance – 600 metres deep under borer brook and old kettle - back because a man from the troop had forgotten his oral piece. Then with a completed rescue troop again there to the striving 3 FOLLOWING And everywhere only dead people. Always only along dead person. They found no survivor. 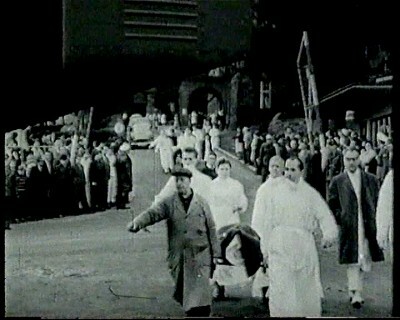 The rescuers passed the only one which still lived there below because he lay unconscious under a carriage. He succeeded later in bringing himself only in security. The next day there was also for Willi Pauly no repose. He had to help to identify the dead people who were laid out in the shell of the new meadow Waschk. Then on the 10th February the memorial service. 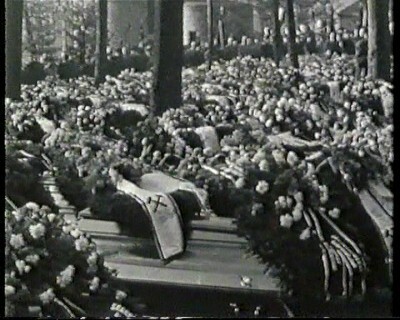 287 coffins, a sea of wreaths. „Hinterher we had only burials as a works committee. “ gehtWilli Pauly which was of late works council chairpeople, Knappschaftsältester and member of the town council of Völklingen, even today after. 7th February will be for him always a day of special grief, and the awful pictures from underground will completely never leave him. Also Horst Lui not, the locksmith 28-year-old at that time, likewise member of the pit weir. He was underground when the misfortune happened. Because he stayed behind to eat still fast a bread, he remained of the explosion and the fire spared. However, the blast flung him and his colleague metre-far. When the dust had lain down and Horst Lui could think again clearly, there was only one: the brother search, Hans-Josef Lui (34) which was at the misfortune place on layer. 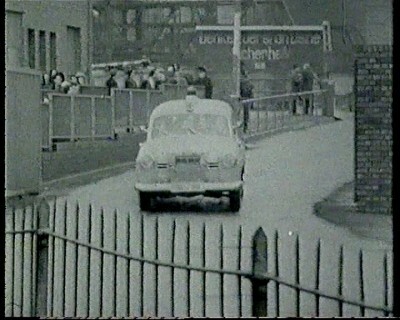 Also Robert Scherer went past to numerous dead people, however, could help also some mates rescue living. After hours he was in the purpose. The fact that the dead person was his brother before him, he recognised by the scars of a heavy belly injury from the war. Hans-Josef Lui had been with the paratroopers, had got over four years of captivity in Russia, around now in the mine under borer brook where he lived to find the death. During ten days Horst Lui helped to look for dead people and missing. Then he got a nervous breakdown. Let at home his head at home on the culinary table sink and could not stop any more crying. Still years later it was impossible for Horst Lui to go on the 7th February to the work. Since then he carries around the traumatic recollections with himself, like all the others which came close to the misfortune: the survivors and her members, the rescue people, the orderlies, the ambulance drivers, the helicopter pilots and the undertakers. 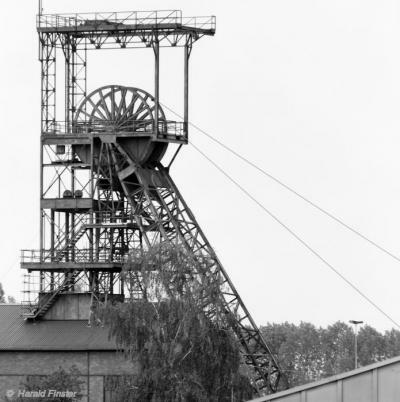 The disaster from the 7th February, 1962 has come as the heaviest pit misfortune into the history of the Saar mining. Worldwide there had been till then with only three pit disasters more dead people: In 1942 these were 1527 in Manchuria; in 1903 in Courrières near Lens / France 1100; in 1946 in the shaft arrangement Mountain Grim / Ruhr these were 406. The causes of the disaster of Luisenthal were never cleared completely. It is certain: Firedamp (methane gas) combined with air to an explosive mixture which one single spark been able to light. The gas explosion again lighted coal dust. But where did the spark come? A short circuit? It is not to be cleared any more. With seven weeks of durable judicial investigation came in 1964 Sicherheitsmängel on pit Luisenthal to the language: among other things mistake in the system of the rock deaf barriers and a supposed Überbelegung of the weather department. However, the big penal chamber of the district court of Saarbrucken felt unable to prove 13 defendants, among them the manager, carelessness or a differently reasonable personal guilt. All defendants were acquitted. What has remained except the recollections in the heads of the affected persons and partner? 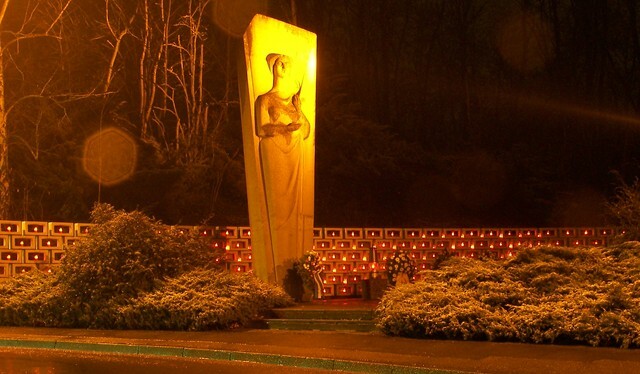 A memorial established in 1963 before the bill gate in Luisenthal and the graves of the miners on the cemeteries of Luisenthal, Saarbrucken-Burbach, Püttlingen, Völklingen and hay hamlet. The endowment brought to life still in 1962 „Hilfswerk Luisenthal “ has raised till this day almost eleven and a half millions DM in donations and has administered. Surviving relatives of victims are not to be promoted from it virtually any more. Today the donations and their interest surviving relatives from later come in the mining fatally victims, serious casualties, to victims of approved mining-occupational illnesses like silicosis and asbestosis, to miner's Reha centres and projects of the working sound of health protection. Therefore, the employees of the Saar mining also deposit with pleasure monthly 25 Pfs or 11 cents of her wage and salary at the charitable organisation. => The Home in in English!